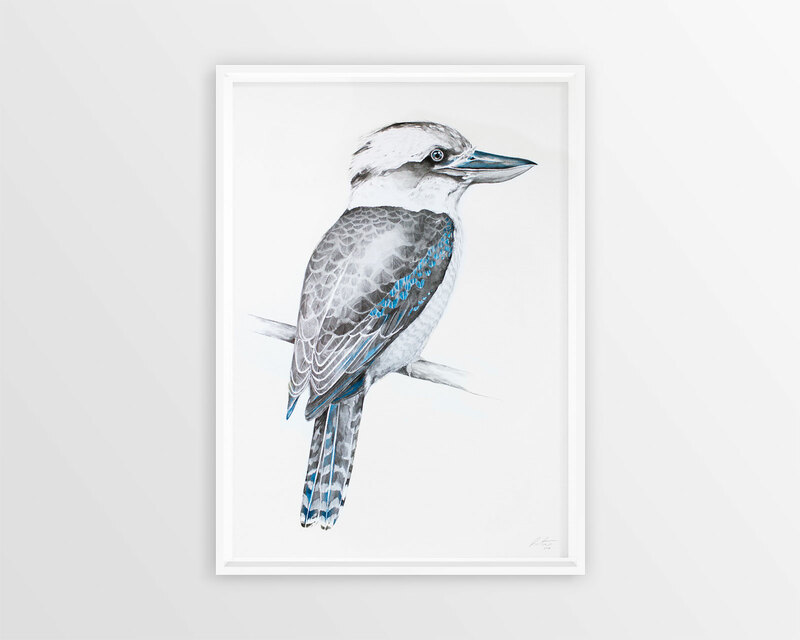 Kookaburras are one of my favourite birds. They always look so calm and wise sitting up high in solitude, like they know more about the world than we do. I’m sure they do. I can’t help but wonder what they think of us running around beneath their wings. This work was commissioned by a lovely friend for her parents new home in Sydney.